When Taylor Swift does something, people take notice. The superstar announced her new album, “Reputation,” in August, creating quite a stir and even upstaging the much anticipated solar eclipse in the process. The announcement generated multiple trending topics on Twitter and millions of shares, likes, and comments across her social platforms. Whether you’re a fan or not, you’ve got give credit where credit is due. Swift and her team know how to reach her target audience and generate buzz. In fact, marketers can learn a lot from her. Here are a few takeaways from Taylor Swift’s recent “Reputation” announcement that marketers can use when promoting their own brand and products. Taylor is known for her blonde hair, red lips, and sassy breakup songs. She is also known for her active presence on social media with generally light-hearted posts and engagement. After a period of radio silence, she left fans reeling when she suddenly unfollowed everyone and wiped all content from her social accounts. People immediately responded, sharing their theories about what her sudden shift could mean. The shock was followed by a series of cryptic posts and a darker tone than followers were used to. While most marketers recommend a consistent posting schedule and brand voice across platforms, Swift’s strategy reminds us that sometimes it’s OK to shake things up. Doing something unexpected for your brand can help grab attention and generate buzz, especially when promoting a new product or event. Never underestimate the power of surprise. Visuals are key for any marketing strategy. In fact, visual content is 40X more likely to get shared on social media than any other type of content. Team Swift definitely took that into account when dropping the news about the album. They used a series of mysterious videos strategically posted to grab attention and tease fans about the big announcement. Fans were glued to her accounts as they waited for more pieces of the cryptic puzzle. When looking at the preview images individually in your Instagram feed, it’s hard to tell what you’re looking at. But view them in order on Taylor’s Instagram profile and it’s clearly a snake, a name she has been called amid celebrity drama and the catalyst for the album title. The three videos alone received more than 9 million shares. In a similar fashion, she teased the name of the album’s second single, utilizing both video and the preview images to get more than 1.7 million shares across Instagram. Like Taylor Swift and her team, marketers should know the ins and outs of what platform they’re posting on and use each site’s unique capabilities and design to their full potential. They should also get creative with a mix of videos, images, gifs, and other visuals to make the campaign as eye-catching and appealing as possible to their audience. Taylor and her team obviously know how to excite fans online, but they’re continuously working to reach and excite them offline too. In addition to making the big album announcement, they seamlessly used online methods to announce exclusive collector “Reputation” magazines, available only in Target stores. They also released a line of “Reputation” snake jewelry and clothing that perfectly mesh with the edgy videos and images released online. The products are consistent with the updated persona she’s trying to create, help boost overall excitement about the album, and are unique and exciting in their own right. They’re the perfect additions to what she’s already sharing about the album online, and you can bet fans will eagerly be sharing images and posts when they get their hands on Swift’s fun merchandise. While online and offline marketing methods are different, they go hand in hand. To see the most success and overall effectiveness, marketers should seamlessly align promotional campaigns across various online and offline platforms. Much like Swift did with her online announcements, album, and merchandise, each part of a campaign should enhance one another and utilize a consistent voice and branding. That may mean hosting in store product demonstration or displays and visiting trade shows to help promote the launch of a new product, as well as promoting it online through social posts, webinars, and blog posts in order to increase sales and success. Your POP displays and offline marketing should mirror your online initiatives, creating a seamless and easily identifiable brand experience, no matter where consumers are. Swift and her team could’ve easily planned one big post across her various channels announcing the album and release date. Of course, her millions of followers and the media would’ve seen it and news would’ve spread. But what fun is that? Instead, they developed a whole announcement campaign across social, which included teaser videos and images, the actual announcement, posts about the new singles, posts about her new music videos, and additional follow-up information. Each post was strategically posted to build excitement and helped keep the announcement buzz going for more than a week. Many brands and marketers get into the habit of thinking that sharing content and making a big announcement is a “one and done” strategy across social. If you post about it once on Twitter, Instagram, and Facebook, you should be good to go, right? Wrong. Swift’s strategy proves that marketers need to get creative and turn an idea into multiple engaging posts as part of an overall strategy. Social platforms utilize different algorithms and users interact on them differently. That means some posts may never even be seen by your followers, let alone shared or seen by people outside your network. By continuously finding new ways to say something and strategically sharing it, you increase reach and engagement, keep your brand top of mind, and help guide your audience through the Buyer’s Journey. When promoting a new product, brands can follow Swift’s strategy by sharing some hints and teasers, announcing the product, then following up with a variety of product guides, how to’s, demos, reviews, and more. While the pop star has a massive following and easily reaches millions with one post, Team Swift doesn’t just rely on her online platforms to spread important news and announcements. Taylor and her marketing team know that a good partnership can push her message further and make her brand even stronger. That’s why she’s working with brands like Target and AT&T to help take her album and brand to the next level. These are great brands for Swift to partner with. They both have a unique audience, but likely similar followers to the ones Taylor and her team want to reach. Connecting with these brands allows new people to hear about the album, keeps the announcement buzz going, and creates additional opportunities for profit, brand awareness, and audience engagement. The relationship is mutually beneficial, as Target, AT&T, and other brands Swift partners with also likely see similar results. Even if you have an established, engaged audience, brands should always be looking for potential partnerships and opportunities to reach new people. Many brands are seeing great results by partnering with influencers and distributing content across new channels like industry newsletters, trade magazines, and blogs. When looking for potential partnerships, think about where your audience spends their time and how a potential partner’s brand and message aligns with your own. And remember, your goal is not a one-and-done promotion. You’ll see better results in the long run if you create authentic, long-lasting relationships with your marketing partners. Taylor and her team are obviously a force to be reckoned with, and marketers can definitely learn from their example. It’ll be interesting to see how the marketing strategy shifts as the Nov. 10 album release date creeps closer. In the meantime, blast “Look What You Made Me Do” and browse our blog for more tips on how to handle online marketing like a rock star. Emily focuses on crafting the stories that really speak to our clients' target audiences, to attract, engage and convert them. 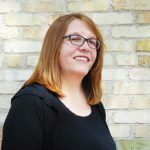 From website copy to blog posts, social updates to landing pages, Emily does it all (and she does it really, really well)! PreviousPrevious post:You never know when or whom cancer will strikeNextNext post:We met our fundraising goal! Thank you for your support! What Can an Online Marketing Agency Do For Your Business?